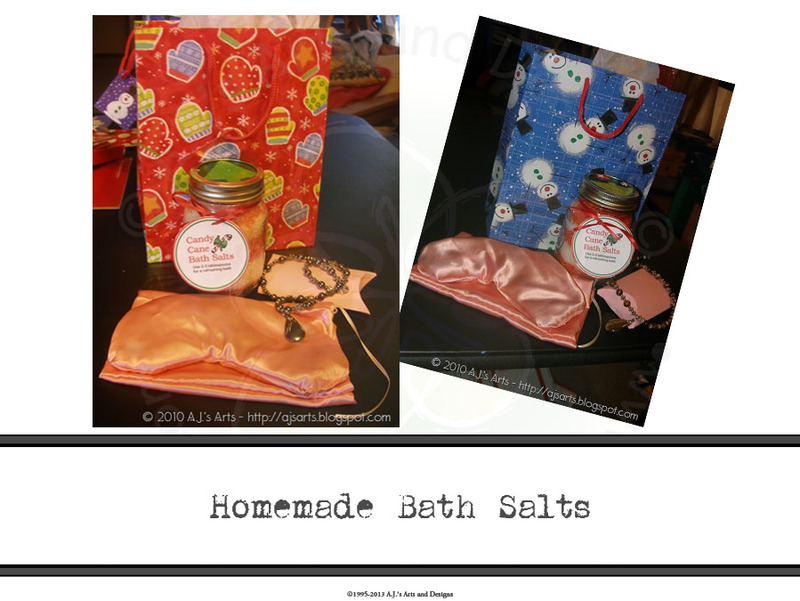 Homemade Teacher Gifts | Who Are You Calling Crafty? I admit I procrastinated on teacher gifts, primarily because I didn’t know what to do for them and I also wanted to do the same thing for each of them. For their birthdays I made each of them earrings, one of the teachers I broke a set up and saved the necklace for Christmas. The other I forgot to make a necklace for and it made me panic Thursday morning, when I realized I never made a necklace. I made managed to find a necklace in my “stash” that would match the earrings I made for her birthday. I also made an easy little box by folding some paper together, then folding the ends in. Once I did that I needed something else for each of them I decided to make sleep eye pouches with bags out of “silky” fabric. In my haste (aka: lapse of judgment) I chose this material that I have a ton of (I now remember why I have a ton of it). It knots your thread as you sew making this “easy” project take 3 hours longer than it should have. 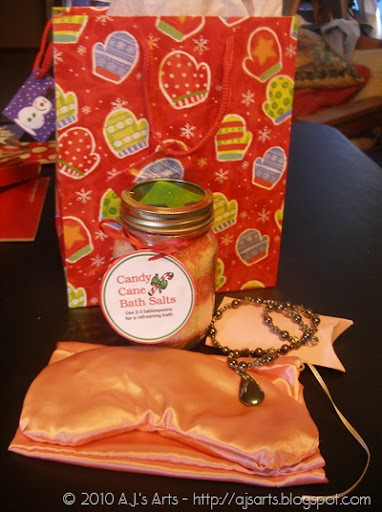 I also decided to make Candy Cane Bath Salts for each of them. You will need 2 small mason jars for this recipe. Pour everything in bag. Mush together in bag. Pour the Vanilla Salt first then layer the Peppermint Salt alternate until jar is filled. I then added a scrap of wrapping paper to the circle part of the Mason Jar and then realized I had not enclosed anything to describe what was in the container. 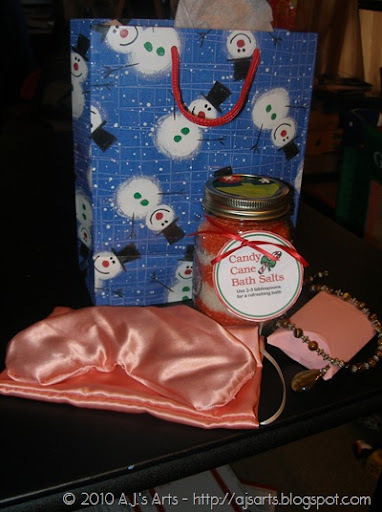 Realizing I was running out of time to make anything I Googled Candy Cane Bath Salts and found a template. I printed the template out and glued it to card board and glued wrapping paper on the back added a ribbon and had a wonderful Gift Tag. I hope to get around to typing out a pattern and how to for the eye pouch but that will probably be in the New Year. If anyone is interested and needs the pattern or how to let me know I would be happy to send you the pattern for the pouch (without directions).